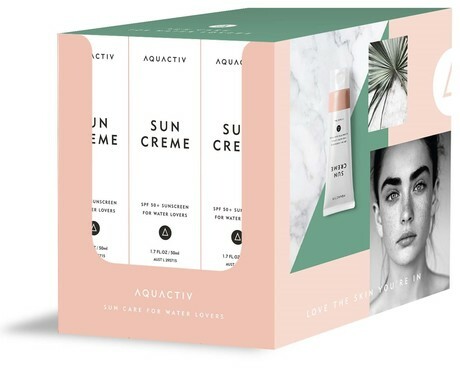 Aquactiv Sun Creme has been scientifically formulated for use in swimming pools and other aquatic environments. It is a non-oily, non-greasy cream that is easily applied and has a sun protection factor of 50. 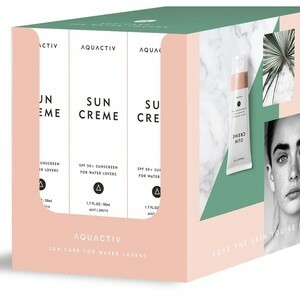 Aquactiv Sun Creme has been formulated to remain effective in chlorinated and corrosive environments for up to 4 h.
It will only be available through professional pool and spa outlets and will not be made available to pharmacies, supermarkets or large chain stores. The Sun Creme is the first product that Lo-Chlor will be producing under the Aquactiv (pronounced Aqua Active) brand. Just a few of the other products set to be released include zinc, a lip balm and an after-sun cooling mist. I am interested in Lo-Chlor Chemicals Aquactiv SPF 50 Sunscreen .